Today I would be showing you all my daily makeup essentials as I promised, I would shortly come up with a post on my daily makeup routine! So here goes my daily makeup essentials and step by step routine. BB Cream: On a daily basis, I like to use BB cream rather than foundation. I use foundation only when I want higher coverage or when I’m attending some event and on normal days, I just like to use a BB cream with some sort of SPF to get protection from the sun. Concealer: I know most of you don’t consider concealer as a daily makeup staple but for me concealer is definitely a daily makeup essential. I need it no matter in how hurry I am! I don’t like my dark circles peeping out even after doing my base and those red acne marks uggh I need something with good coverage to hide them and that’s when I use a heavy coverage concealer and skip foundation on a daily basis. I generally avoid using powders as I have dry skin and I like the effect of dewy skin rather than matte finish so after doing my concealer, I straight move on to my blush application. Blush: I don’t use blush on a daily basis but when I do, it has to be a girly pink blush like this Maybelline cheeky glow blush– fresh coral. This adds a nice flush of color to my cheeks which is perfect for everyday look. Eye Lash Curler: I need a curler on a daily basis, curler gives volume to my lashes and curled lashes looks way more attractive than flat lying lashes so I include an eye lash curler in my daily makeup routine. Mascara: Mascara is a daily makeup staple in my routine, I love the way a mascara adds length and volume to my lashes and changes my whole look, so I love using mascara on an everyday basis while going out. 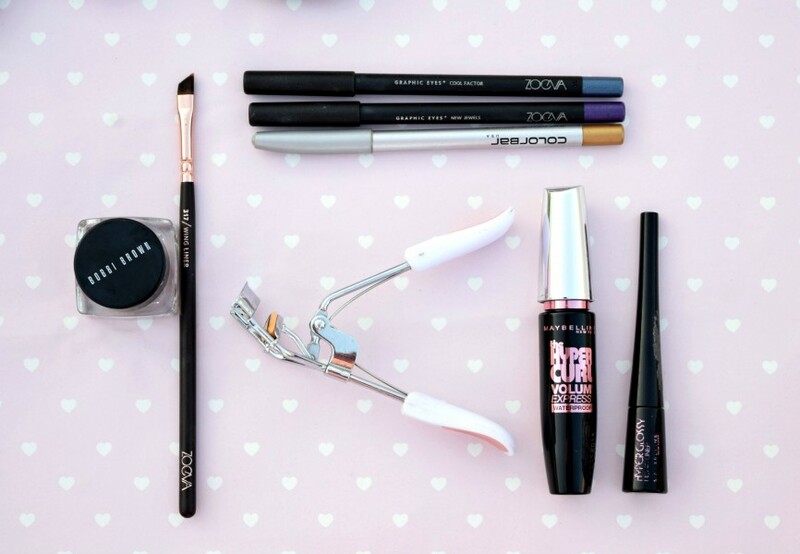 Eye Liner: For me, liner is also a daily makeup essential! I skip using eye shadow on most days but not a liner, I just need a liner to add depth to my eyes on a daily basis. Eye liner defines my eyes and enlarge them drawing more attention to my face. I mostly like using liquid liners! 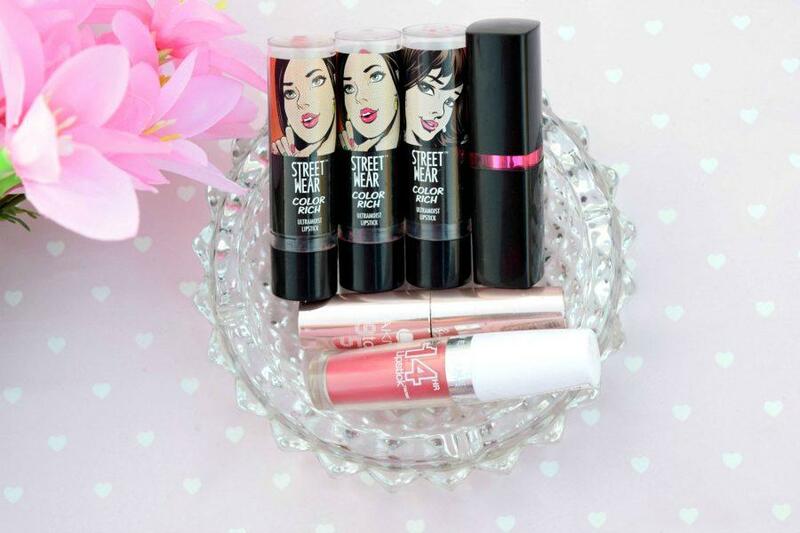 I keep eye shadows for days when I want to look more glamorous. Brow Gel/Pencil: I can never (like never) leave the house without doing my brows. Ever since I started doing my brows, I got addicted to doing them wherever I go, I just love the way done brows changes my whole face. I look more neat and polished when I do my brows compared to when I don’t do them. Colored Eye Pencil: I don’t use a black kohl as it makes me look too bold so I keep it for night look only. On most days, I leave my waterline as it is but when I feel like experimenting something with my look, I add colored eye pencils on my waterline and love the way colored pencils make me look more vibrant and girly. Nowadays, I’m loving these smooth textured nicely pigmented Zoeva pencils in Cool Factor and New Jewels and also the Colorbar eye pencil in Golden Glam. Lipstick: I prefer n*des and pinks on a daily basis and my daily lipstick consists of n*de and pink shades such as Streetwear Pink Persuasion, Streetwear Spell Bound, Streetwear Ruby Riddle, Maybelline Colorshow Fuchsia Flare, Lakme 9 to 5 Red Chaos, Maybelline super stay 14 hour eternal rose. That’s it for my daily makeup essentials! I like to keep my makeup routine short and simple! Those who requested me to do this post, I hope you find it useful! Do try it out Shalini, I’m sure you’ll love it! super cool collection n i love d blush shade <3 i ve just started using lipsticks ( yea its true) so i try oly lip color ones … it feels kinda different to wear other colors.. and yea i agree with u bbcreams r more comfortable than foundations.. I love that blush :D Then these lipstick picks would be great for you except the Maybelline ones coz they are kinda dark pinkinsh (bold pink)! Stunning clicks!! MAc prep and prime has been my favorite too! your pictures are so prettyyy!!!! I absolutely loved your clicks! :) Some great stuff in your daily makeup routine. :) On most days, I just apply a BB cream & some kohl & a lippy. lovely pictures dear ! MAC prolongwear concealer is my favorite too . 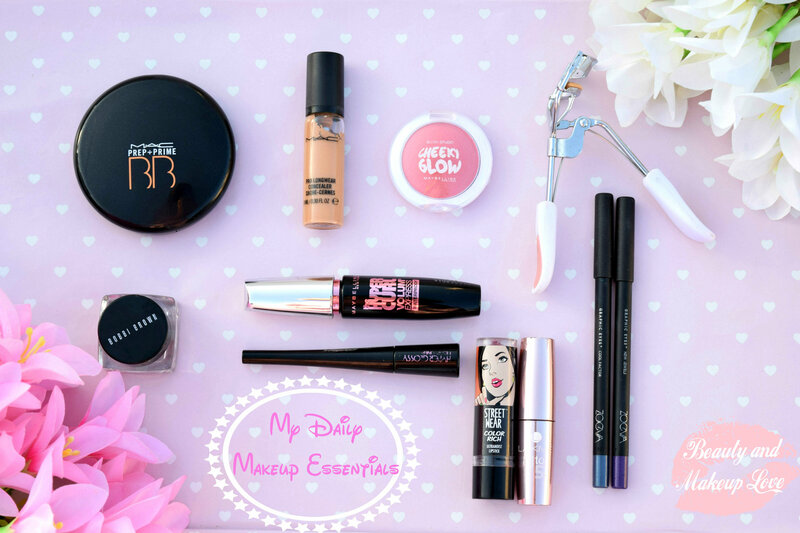 You have a superb collection of make up essentials! Loved the new look of your blog, its very soothing and feminine ! Fabulous picks Arzoo. By the way I love your picture in your about me section So pretty. Hi Arzoo! I love your photos, very pretty and girly! 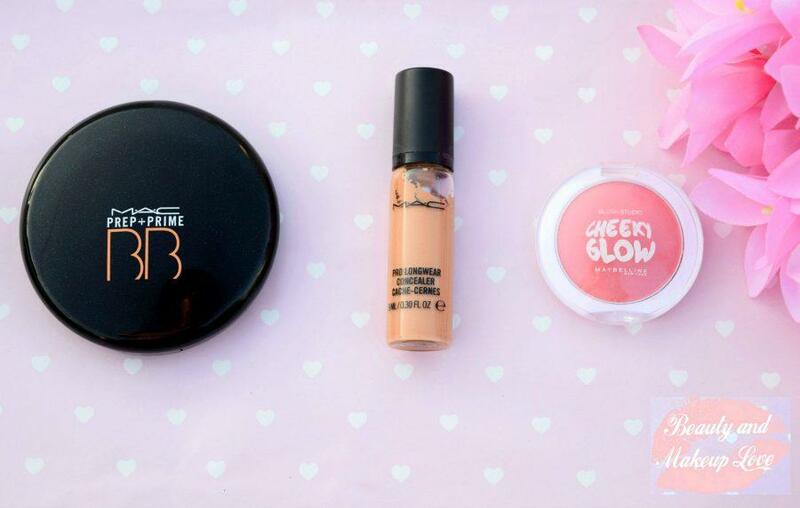 :) That Maybelline blush is my favorite drugstore blush. I’m planning to get the MAC pro longwear concealer soon. Thanks for the heads up! concealer is my daily need too :P same pinch sweetheart :P I use mac currently..same as u.. Superb collection Arzoo. Luvd reading the post. M definitely gonna explore the blog more. Arzoo which brand brow pencil and eye pencil hv u used? Thank u for sharing ur make-up routine… Where i can get coloured pencil in zoeva brand u mention above nd which brand of brow pencil is good?? Hi Rounak, Zoeva is not available in India, you can get them from International websites that ships to India and for brow pencil, you can try Maybelline fashion brow duo shaper!